Rheavendors is an international group of companies based in Milan, Italy, specialized in the manufacture and distribution of vending machines for consumer goods. Rheavendors group is an important player on the international vending market, with branch offices in nine countries. España – Rhea Vendors España s.l. España- Rhea Vendors España s.l. France – Rhea Vendors France s.a.
Nederland – Rhea Vendors Benelux B.V.
Polska – Rhea Vendors Polska Sp. z.o.o. 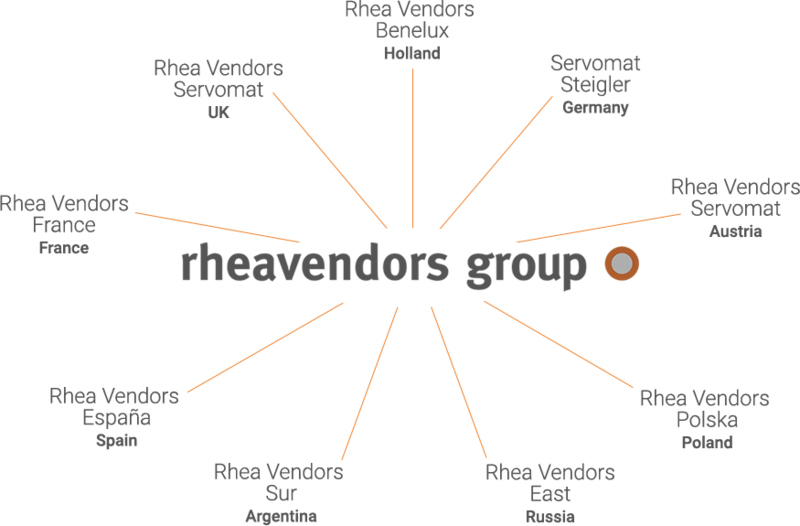 United Kingdom – Rheavendors UK ltd.
Argentina – Rhea Vendors s.a.